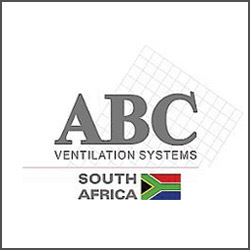 A number of farsighted professionals recognised the need for a forum to discuss common ventilation problems, and in 1944 The Mine Ventilation Society of South Africa was formed. The growth and success of the Society has been due to the vision of these early members, many of whom were charismatic and colourful characters. It is often said that the strength of a society is its members and the MVSSA certainly has had many strong and dedicated members. Encouraging member co-operation in activities necessary to produce and maintain a healthy and safe working environment. Acting as a forum where members’ and industry’s opinions concerning mine ventilation engineering, and occupational hygiene may be discussed, debated and communicated to regulatory authorities and the Industry. 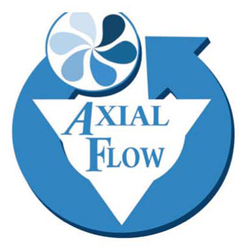 To propagate knowledge amongst ventilation professionals through the dissemination of information using the best suitable means at the Society’s disposal. To hold meetings of members and interested persons or bodies, for the purpose of promoting discussion on matters relating to mine ventilation. To promote personal contact and co-operation amongst ventilation officials and other professional associations, statutory bodies, interested and affected stakeholders and individuals. Promoting the professional development and proficiency of members. To represent the interests of the Society and its members both nationally and internationally. To uphold the status and the interests of members of the Society and to consider, discuss and deal with all matters affecting the general professional activities of members. To do all things compatible with the professional status and advancement of the Society which may be deemed necessary or desirable for the attainment of these above objectives. To empower the Council, in terms of the Constitution and By-Laws, and where necessary with the special approval of members at an Annual General Meeting, to do all it shall deem necessary to achieve the objectives of the Society. To provide and promote the professional registration of members in the interest of promoting best practice, high professional standards and to align the profession with statutory requirements as amended from time to time. Persons or Institutions may subscribe to the MVSSA technical publications without enrolling as a member of the Society. ii. The Two Vice Presidents. b) The Immediate Past President. d) The Honorary Education and Training Officer. e) Elected Members: seven Fellows. f) The Chairman of each Branch of the Society. g) Those Past Presidents who, at the invitation of Council, have signified their willingness to serve on the Council for the ensuing year. h) Co-opted members: no more than two Fellows who may attend all Council meetings but shall have no voting rights. The MVSSA administrative activities are conducted from a central office in Johannesburg by the MVSSA full time Secretary.